Do you want to be SET FREE??? Hook on to today's Fresh Word: Glory!!! 6. a state of absolute happiness, gratification, contentment, etc. : She was in her glory when her horse won the Derby. a ring, circle, or surrounding radiance of light represented about the head or the whole figure of a sacred person, as Christ or a saint; a halo, nimbus, or aureole. Glory is one of my favorite words. It just makes me smile to hear it, see it, read it, experience it!! So many of the words used in this definition would qualify for it's own Friday. Words like: Honor, Praise, Splendor, Magnificence! I just met a couple of precious young women last weekend who sponsor a conference for small groups of women called Glory Quest!! (Quest is another great word isn't it) As they described the weekend journey that they lead women through, my heart was in my throat. Seeing women encounter the Glory of God and embrace His Redemptive healing, restoration and destiny is one of the greatest pleasures of my life. When I did a Bible search for the word Glory, I got 282 results. Reading each one does a big thing in my heart. "Who among the gods is like you, O LORD ? Who is like you— majestic in holiness, awesome in glory, working wonders? Try it and just see if you can stay discouraged, sad, depressed, confused, weak, afraid, insecure, unsure. I am sitting in the Tampa Airport as I write this post, heading across the big blue Gulf of Mexico to Houston,Tx. I can't wait to see the sky today from a little closer to heaven. That in itself is a miracle for me. I have always hated to fly. In fact, it was one of 2 things I told God (LOL!) that I would not do when He called me into ministry. Fly and and speak in front of people!!! I have struggled so much with flying over the past 2 years, sometimes to the point of tears running down my cheeks as I look out the window of an airplane. I, along with a lot of precious family and friends, have asked God to cure my airsickness and resulting silent freak outs. Over the past few months I have discovered more and more peace in the air. God is good! He is able. He is Holy and Personal!! One of the results of His saying Yes to this is that I get to ENJOY flying!! I actually love to look about the airplane window and see the clouds and the mountains from the air. To see rainbows in the sky and sunsets drop through layers of color. A few flights ago, God showed me a field of Sunflowers!! His Glory is tangible and visible and real!!! What is there without Him?? Gotta go get on an airplane now and see His Glory from the sky!! Now WHERE is my Cowgirl Hat??? This wandering woman is packin' again! Not guns mind you...I have enough trouble as it is getting through security! I am heading off to Texas for more "Surrendering the Secret" Blessings. 2 Certified Leader Training's and 2 Church speaking opportunities. I have only been home for a few days from the country music capital of the US where pickin' and playin' are going on 24/7/365! They even have singing guitar players entertaining travelers at the Nashville International (Ya know the one that goes from Florida to Tennessee with no stops!) Airport Grille. They even had a bit of Grandma Karioke (No spell check available!)! It made me cry to watch a very sweet old lady sing "Can I have this dance for the rest of my life?" while her elderly husband ate his french fires without looking up. Made me miss my honey all the more! I still have Brad Paisely playing over and over in my head. "I thought I luvvvved ya then...."!! My week, however, has been more like what is found under the boot than in it. Just a tad few challenges and rough riding. Oh well, "Some days are Diamonds and some Days are Stones" Yall. If you are interested in a sweet night out with your boot scootin honey, shuffle on over to my facebook page for a chance to put on your high heels and get a babysitter. We have a few seats left!! Winning tip! It's not country but its' music!! Can you be "Austere" a little nicer please, you are hurting my feelings! Good Morning World! Yes, I know, it is waayyy into the morning in many places. I am bit bit slow this morning but Hello Fresh Word Friday. The word for today is AUSTERE!!! WhoooHooo! 1. severe in manner or appearance; uncompromising; strict; forbidding: an austere teacher. 2. rigorously self-disciplined and severely moral; ascetic; abstinent: the austere quality of life in the convent. 3. grave; sober; solemn; serious: an austere manner. 4. without excess, luxury, or ease; simple; limited; severe: an austere life. 5. severely simple; without ornament: austere writing. 6. lacking softness; hard: an austere bed of straw. 7. rough to the taste; sour or harsh in flavor. I am sitting in front of a waterfall that is located inside of a building under a sky clear dome. Not exactly the mountains but a nice sound and a pretty garden. It is raining over the dome but no rain on my balcony. Oh the magic of an amazing architect. I am presenting "Surrendering the Secret" at the American Association of Christian Counselors in Nashville, Tenn which is located in the Opreyland Hotel. There is a definite style statement in this place and it involves boots, hats and things that sparkle! Even for those who are here from Miami!! It is fun to watch a convertible tan in cowgirl boots! My "Prayer Chair" today is a 3 piece wrought iron balcony set, one chair providing a stool for my still tired feet, the other my tired, well...you know, and the little table for my coffee, Bible and notebook. It is a nice little spot don't you think? I am in Matthew Chapter 3 of the Message. You ladies may be WAYYY past me now since I have not had much time to collect my thoughts, much less sit and write them in days. The difference between a prayer journal and a laptop is the need for a somewhat "insightful" blog post verses a bunch of words on a page that no one else will see. I was actually cracking up laughing on my balcony this morning as I read this chapter. "Change Your lives People!!! God is Watching". The word goes on to say that John's showing up had been predicted long before he started preaching in his oh so needy wardrobe (He would have stood out like a sore thumb at the Opreyland Hotel!). John had been referred to as "Thunder in the desert"! I can sometimes relate but honestly, to think of John as a preacher today would make some snake skin crawl! As scripture clearly shows in this Chapter, John did come and he did create some THUNDER!! He was preaching his heart out by the side of a lake, when some people showed up that he perceived as false and hypocritical. I have had those feeling before and just tried to ignore them. But not John, he just called a Snake a Snake and no pretty words are anywhere to be found. I am absolutely certain than even though I have felt these things, even within the past few days, I would never have the courage to speak them out, nor would any editor I have ever worked with, allow them to show up on the published page! These are John's "nice Christian words"......in fact my Bible says "He Exploded"!! He called them a Brood of Snakes! The people who came to his Bible Study!! The people who were presenting themselves as Christians but were really just trying to be popular, or follow the crowd, or check out the action, or BE in the action!! These folks would do anything, say anything or be anything just to get SOMETHING. "What do you think SLITHERING down here to the River, the Church! The Holy Place of Surrender!" were his words of greeting. What counts is your LIFE, is it green and blossoming??? Be certain that all that you are pursing is KINGDOM LIFE!!! When you do, God Himself will IGNITE a fire in you that no man or woman can put out, it will burn no matter who is around, who sees you, who approves or who joins you! That is how you know it is God! I leave this chapter, for now, with many things on my heart. If I had walked into John's crowd, today, would I be in that group in ANY way??? Would any part of my focus, my heart or my life be able to be grouped with "The Snakes"??? the Surroundings or the Saviour? Tickled ears and a fun day at the lake or Truth? can I be AUSTERE when it is called for??? Or does popularity, Christianese, fitting in, being liked, being accepted....trump that truth? "Austere", a word to ponder don't you think?? Matthew Chapter 2, "The Message"
The very first time that I found myself "In the Right Place, At the Right Time" was on June 9, 1984. That was the day that I surrendered my life to Christ and started my "pilgrimage to worship Him". I was at a ladies retreat for a church that I had been attending kind of "in secret". I had actually been hiding out in the children's Sunday School classes of that church for a few months since I was afraid to step into "big church". My life to that point had shown little reason that I should not be struck by a very big lightning bolt should I step my feet upon that Holy ground. So, I hid, amongst the children with my 2 young sons. I hung out in the nursery every Sunday using the pretense that my youngest son was too afraid to be without me. The truth was, I was too afraid to be without him. Before I knew it I was being asked to teach a 5th Grade Sunday School class!! Churches can get very desperate for teachers in the children's area. Yep, me, a messed up fallen young woman with no knowledge of the Bible . Does it make you want to request the resumee' of your child's Sunday school teacher? I said yes just so I could stay under cover. After all, how hard could it be? I took the assignment very seriously however and studied my lessons as if I were pursing a Graduate Degree! I used a big giant child's Bible that had been given to me when I was a baby to study from. It was the only Bible I owned. Guess what, God shows Himself to us in ways, times and places that we least expect, if He needs to. Whatever it takes to get our attention. Bushes on fire, whale guts, ocean storms, snakes and rods and worms! All we have to do is head in the right direction, or the wrong direction. He will help us to find him. He is ALWAYS, in the right place, at the right time. "We're on pilgrimage to worship Him". The great scholars from the East that we read about in Matthew Chapter 2 discovered this truth centuries ago. I discovered it 25 years ago. When we do, it changes everything. It changes our perspective of what to do next. It changes our lives from that very millisecond for all of eternity. My life has never been the same since that unexpected day that I discovered my Jesus. I was in the right place at the right time. Speaking of RIGHT PLACES-RIGHT TIMES..check out this rainbow from yesterday!! We enjoyed this beauty as we crossed the Sunshine Skyway Bridge yesterday. Have you ever seen the END of a Rainbow? Then, it got better and Doubled our Delight! How about you? I would love to hear your "right time, right place" story!! I said I would keep my promises, I did NOT say, I would always be on time! No woman in her right mind would promise that! I spent my day yesterday going from an early morning AMAZING conference keynote speech to running to catch the "Super Shuttle to BWI Airport, to waiting in line for over an hour to get through security...it was 9/11 after all! God has truly worked miracles in my life in the area of flying! I arrived home at around 5pm, went to dinner with my honey then came home and crashed in front of a movie with him! Stay with me this week for secrets about a new movie coming out this Fall that I got a "hot off the press" copy of to watch in my pajamas! So....Fresh Word Friday is here on Saturday but is VERY FRESH non-the-less. The Word on my heart is GRACE!!!!! A yummy word if I must say so myself! We are justified freely by his grace through the redemption that came by Christ Jesus. I had the great privilege of sitting in a small group with David's Dad, Gary, just last month. I can easily the see that the passion apple does not fall far from the tree in this family. David is a brilliant young man, just barely into his 30's and is President of the Barna Group. 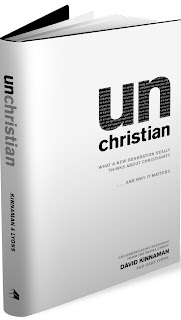 His book "Unchristian" (Baker Books; 2007) is a study of the thoughts and perspectives of the new generation regarding their faith verses the faith of their parents and grandparents. I have always been interested in this topic and read the book soon after it released. I enjoyed it then but hearing David deliver the valuable information about what it will take for this generation to influence then next generation for Christ was nothing less than captivating. As I listened to David the light-bulbs going off in my head could have been bright enough to light up that baseball thingy stadium behind the hotel! I have had a few discussions with some young Christian Authors and Speakers over the past few months about this very topic as I have made some surprising observations about the response of young women to my speaking engagements over the past 2 years. I had felt that they were drawn to me for some reasons that I have been mystified by. David spoke some words yesterday that I have actually spoken myself as I have mentally chewed on this topic. David classified the current young adult generation as the "Grace Generation"! I just about fell off my chair as I have used those exact words! I LOVE it when God confirms something in my heart that I have felt He was showing me! I could truly go on and on about this important truth from so many key directions but this is a POST, not a speech or a book (It is long enough as it is)!! I want to restate 6 points that David made that we all MUST CONSIDER with regards to our young adult children, grand children and teen outreach ministries. This is something that I do every day as the leader of a crisis pregnancy center and that we all do in some fashion or another!! These points are critical as we attempt to present BIBLICAL social values, truths and challenges to the next generation. 2) Earn the right to be heard! We can not just blast off our political, social and spiritual opinions or even facts, without earning the right to be heard by these young adults. They need to know we care before they care what we think. I think this might be why young women who come to my keynotes and events seem to be drawn to me. I tell them the truth about my past mess-ups!! So often women in Christian leadership tell me of a past abortion (or abortions) but tell me they just can not bring themselves to tell their children, or their Bible study classes or anyone for that matter. They are still being held back by the old ways of keeping your dirty laundry in laundry room. My response is that we have to tell so that our daughters and our granddaughters the truth about our personal failures and the Grace of God so that they do not BUY THE SAME LIEs that we bought!!! So that they do not fall into the same traps! That is just my opinion but research appears to agree so don't get mad at me!! 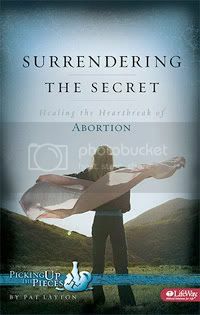 Every woman I know who has shared her abortion story with her children and family has found them to completely embrace her in love and offer her GRACE!! That is how they are! 4) Allow them to participate and offer input and leadership into your ministry! This generation listens to their peers!! They turn to them for advice. They confide in them. They follow one anothers lead. Involve the peers of your children in your life, your ministry direction and your plans! David's speech reminded me that I must pray MORE!! Pray for the next generation of Christians. Pray for my college daughter's friends, the Christian environment that she is immersed in and PRAY that she and her peers will embrace faith!! Their way! It is the day of the "Grace Generation". Somehow, I think God knows about them!! Blessings from Baltimore! I have just slipped into my room for a HIDEOUT moment and to say Hi to you! Talk about "Sweet Tea Pressure"
I was blessed and thrilled at the sweet response to my casual appeal to "Re-Think" Life with me. And I just make a public statement about PROMISES!! So I HAD to at least make day 2 :)!! I love Matthew Chapter 1 for so many reasons. "It's an AGE thing"!!! Yooo Hooo! Then she said, whenever I can't sleep, I read the Book of Kings! It puts me to sleep every time! mmmm......I am not sure that is OK to say! Is it girls??? Anyway, It made me think of my choice of words for the day from Matthew Chapter 1. "Every day we wake up in the middle of something that is already going on, that has been going on for a long time: genealogy and geology; history and culture; the cosmos--GOD! We are neither accidental nor incidental to the story." I love that! EVERY LIFE MATTERS!!! Every single life!! I used to think the first part of Matthew was kind of like was SLEEP promoting medicine. However, as I have gotten OLDER, I have come to see a new beauty in the first 17 verses of this book. God is so detailed and cares so much about every single person that He took the time to clearly lay out this generational path for us to be able to see and recognize the heritage of Jesus. Now that I have had a few years in God's Word, I am able to look and see the names of many precious men and women of the Bible whose stories have changed my life. People who lived so very long ago who matter to me today. Each one of these people mattered to ME! 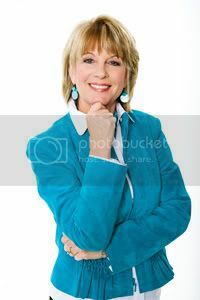 Patricia K Layton living and serving God here on this planet in 2009! God's Kingdom plan. Each one of us matters as our names are being added to God's family tree and each of our family members matter. Let in sink in! List them out. Think about it! "Fulfilled" is one of the leading verbs used in Matthew. Everything is connected to the soon coming arrival of our Lord and Saviour. Everything and everyone has a position and a place. We NEED To HEAR IT!!!! Which leads to my other favorite part of Matt 1. This is where we first hear about the teenage pregnancy that changed the world for eternity. We are introduced to the Mother of all Mothers who started out in what could be nothing but fear, shame, disgrace, a whole bunch of "Yea RIGHT's---You expect us to believe THAT!!!" Matthew Chapter One matters to me. How obedient am I to the voice of God when it is hard? When others won't understand? When I have NO IDEA how it might go for me to obey? Better yet, how good have I been lately at HEARING God? Listening to God's voice? All these people are listed here on this eternal family tree because they matter to God. We matter to God and our obedience and response to His voice determines our destiny! OK, it's your turn girls!!! What did you find in Matthew One? Want to Re-Think Life With me at "Sweet Tea"? I have kept a personal prayer journal for 25 years. I usually purchase a small 9X12 spiral notebook, write the date on the front when I start, then write the date on the front when I end. On average it has taken me 2-3 journals each year, that is close to 75 Journals of prayers and struggles and praises lifted up to God that I have stuffed into a box. I have always wondered what do I really want to do with those things? They contain some pretty messy growth. Some of my ugliest, most selfish and broken character revelation lies within those pages. Yet, somehow, I can not bear to destroy them. They are real. They reflect who I have really been, who I really am, but most of all they reflect WHO GOD IS to me!! His Grace. His Mercy. His Patience. His Abundant Provision!! I also record what God says to me through His Word in my journals. That part is very cool to look back on. So, I was wondering if anyone might want to join me in my journaling? Over the last couple of years I have felt less and less inclined to "journal" in the same way that I used to. I feel that God has taken me into some new places and ways to record my journey. Blogging is one of those ways. I have some blogging friends that I adore, who are so clean and polished on their blogs. They never mis-spell anything. Their grammar is always accurate and their sentence structure correct. Some of them use big words and deep concepts. I love to read their blogs and I want my blog to be like theirs when it grows up. However, that may take 25 years! So, in the meantime, it is what it is! For now, my blog is like me, messy, but I just love to do this. I love to sit here and think about the person that I love so much who might be reading my post today. Those who have told me they read every day. They never comment but they read. Those who email me or send me a note on Facebook. I treasure every single person who takes the time to visit "Sweet Tea" and listen to what God puts on my heart to share for the day. I care so much about what He puts on your heart as well. I am reading through the "Message" version of the New Testament and Psalms. It is so rich with words and mental images that I just have to share my quiet time with someone besides my spiral notebook!! Over the past 2 weeks I have read up to Matthew Chapter 9 but I want to give you some time to catch up. All I am going to do here on the blog is say a word or two about the things I have highlighted. If you would like to read along with me, get you a "Message" Bible, a pen and a highlighter. I also recommend that you get yourself a JOURNAL. Record what God tells you each day through His Word. Remember, it is ALIVE! It applies to your life today! Which leads me to my first "Highlight". In the Introduction on page 9 of my version, Eugene Peterson says that as God's Word was revealed to the world through Jesus that one by one, men and women had to begin to RE-THINK, RE-IMAGINE, RE-CENTER, all that they did in life with the understanding that Jesus is Lord and that God calls all the shots! The Bible is filled with personal letters, eyewitness, stories, poems and teaching. From the first day that I held one in my hands I have considered it Holy, Precious, 100% True and for lack of a better word, MAGIC! The Word of God changes lives. It has changed mine. Let me know if you want to walk the pages with me! Last week one of the many things that I had to fit into my schedule was a Dr's appointment. Routine but necessary. Those things are always such an interference with my schedule to begin with but somehow the only time I could fit this one is was on my Anniversary for goodness sakes. What was I thinking?? I must have forgotten that I would need to be out getting my honey and Anniversary gift!! Yep, I am a major last minute gift buyer! As I was sitting in the waiting room making a list of Honey gift possibilities that could be captured from within 10 miles, a young pregnant Mama moseyed in with her little boy. I noticed them immediately since he was screaming from the bottom of his lungs and hanging from her hand as she dragged him behind her into the office waiting area, which, by the way, was PACKED with other waiters like me. This little boy was between one and two years old. I know because I have a 1 year old G-girl and a 2 year old G-Boy, both who belong to the same son and his lovely young wife. The little boy hanging from the woman was crying so hard that his little face was sopping wet with tears that were mixing in with the liquid coming from his nose. The intensity of his distress was obvious to everyone in the room, except, one would think, his mother. The young mommy, who was very pregnant with the promise of another little one in the near future, had apparently used her last nerve and appeared to be shut down to all life. She literally looked to be in a comatose trance. She would occasionally speak down at the child to "be still" or "be quiet" but very clearly did not expect him to obey. I continued to sit in my chair with my face towards my list but my heart was squeezing on behalf of both the boy and the Mom. I wanted with all that is within me to go over and offer my help but that young Mom had a protective shield around her that was so strong I could practically see it with me eyes. She was in no mood for an interfering stranger who thought she could prance up to the rescue and make it all better. As I watched this scene from the top of my head, I though of the term "drawing a line in the sand". You know, when someone gets so angry with another person that they "draw a line" that says "if you step over this you die!" The little boy continued to scream and the Mommy continued to ignore him as one by one the waiting room began to clear. My name was finally called but my heart stayed with the Mommy and the little boy. I thought about my days as a young Mom when I might have just run out of all that was left in me to "train up a child in the way he/she should go". When I was just flat worn out and had nothing left to give. I thought of my precious Daughters in Love and the amazing job they are both doing with our Grandchildren. I thought about the youngest, Bethany, who has 2 little babies and how often she could get to the point with 3 children ages 5 and under, of shutting down. I thought about how grateful I am to be there for her. Hopefully to provide for her to go to her own Dr alone as much as possible. I pray for that Dr.'s office Mommy and all the Mommies who have used up their last nerve and had to draw the invisible Mommy line between them and their babies or them and someone who might could help. I have begun to think on some of the things that a worn out Mommy can do to make it to the next minute, the next hour, the next day. 1) Call Someone! Ask for Help! If you feel that you have reached your limit and might endanger the well being--physical, mental or spiritual--of yourself or your child---Ask for help! Even if it is from a strange woman in a Dr.'s office. 2) Be sure to find some time for yourself. Try to set aside a regular time that belongs to you. Maybe it can only be once a month but you need time to get restored and rested in order to give all that you have to give to your children. 3) Connect with other Mom's who are going through the same Mommy stage that you are. There are lots of churches, pregnancy resource centers, community organizations, libraries, that have opportunities for Mom's to connect. Find some. 4) Stop, Drop and Pray. God knows your heart, your needs, your feelings of hopelessness when it all gets to be more than you can cope with. He cares. You will be amazed at how he will answer. How about you Young Mom's? Do you have any other ideas?? I know of at least 2 who are reading this Blog who could use a good idea or 2!! There is a story in the Bible where Jesus drew a line once, in the sand, for a woman. It was a woman who had been brought before an entire crowd and exposed. I don't imagine the Mommy who sat in the middle of that crowded Dr's office last week felt a whole lot better about herself and the stares from the crowd that was judging her than this woman did. Opinions about how she may or may not have handled her weeping child probably made her feel just about the same shame as the woman who was thrown in front of Jesus. Every time I think of that Bible story, I always wonder if it might have been an arrow that Jesus drew in the sand that day. An arrow that was pointing to someone else in the crowd who could have been brought up for charges that day. Any of us who has been a Mom, especially during the early years, has faced discouragement and fatigue and the feeling that we have no idea what to do and even if we did we have no energy to do it! The bottom line is that the line in the sand that Jesus drew pointed the woman to forgiveness, hope and freedom! He has the same message for all the young Mommies out there who feel the need to Draw a Mommy Line! The "Fresh Word" that I have for the day is "Promise". I have been convicted lately, although not intentionally nor directly, by a watching a few sweet friends, about keeping "Promises". My friend Melinda @ "Traveling the Road Home" PROMISED in January of this year to post a weekly devotional directed towards the Sanctity of Human Life and our Christian call to prayer for the unborn and the men and women who buy the lie of abortion. She has faithfully provided for our prayer direction EVERY MONDAY for the past 8 plus months. I have been in a car with Melinda on our way back from a trip from North Carolina to Tampa. We were both tired, talked out and ready to be home in our beds. Melinda, however had a PROMISE to post a weekly devotional and she was going to keep it. She worked on her post off and on all day during our road trip that Sunday then completed it in the we hours of the morning on Monday in time to keep her promise. My friend, Lysa Terkeurst, at Proverbs 31 Ministries, has promised herself to change her eating habits and work towards a healthier lifestyle. I have done that a BILLION times. I saw Lysa this summer and she looks great! She kept her promise to herself! There are quite a few others that I have watched lately who have re stirred this word in my heart. It is not that I am not a "Committed" person. I have been with the same man for 33 years, led the same ministry for 22 years, attended the same church for 16 years, ect, ect, ect. I have had "Sweet Tea" for over a year now. It is just that within the parameters of my life I find lots of room for CHANGES to be made. I admit, sometimes I struggle with keeping my promises. This is the definition of "Promise"
1. a declaration that something will or will not be done, given, etc., by one: un kept political promises. 2. an express assurance on which expectation is to be based:promises that an enemy will not win. 3. something that has the effect of an express assurance; indication of what may be expected. 4. indication of future excellence or achievement: a writer who shows promise. 1) Underlying lack of Self Worth. Like, I might say I would meet some girlfriends for lunch but just got too busy. In my mind, I think, "it won't matter that much, others are going to be there, or she will be glad to be freed up, or, we will do it another time, no big deal". I have so many GOOD intentions that sometimes I can't do them all. When I said I was going to that event I REALLY WANTED to go, I just had other, more important things come along unexpectedly. I don't take the time to really think and plan before I say I will do something. Can I afford it? Do I really have time? Have I checked with Honey? Have I already promised something else for this time slot? For more than a few months now, I have spent my devotional time studying Psalms 139. One of the last verses of the Psalm say "Search my heart Lord and see if there is any wicked way in me". Talk about a risky prayer!!! The biggest reason that I want to get better at this is that I desire for every single part of my life to Glorify God and reflect His character. God has a more than a few things to say about making PROMISES. Here are a couple of them. Above all, my brothers, do not swear—not by heaven or by earth or by anything else. Let your "Yes" be yes, and your "No," no, or you will be condemned. Oh my! That is more motivation than Melinda or Lysa put together! I have been down this road before but PTL..God is not finished with me yet. How about you? Are you good at keeping promises? A while back, I promised to post a "Fresh Word" on Fridays. Here is my last post on "Fresh Word Friday". As you can see, I have not kept my promise for a "Fresh Word on Friday". So, if my sweet friends can do it, I can do it!! Regardless of other things that come up. I PROMISE myself, in front of a few friends, to keep this PROMISE for recording a "Fresh Word". I just can't seem to catch up this week! Can I get a witness? Is this true for anyone else or just me?? I returned on Sunday morning....pre-dawn--from an amazing time with the Lifeway Women's Ministry Team speaking at "Fully Loaded" (Greetings new blogging sisters!!) followed by the Living Proof Live Simulcast. Anyway, there is a great video of the event posted on the Living Proof Ministries Blog Site. Here are a few of my quick shots! Beth is always so fun and so FULL of fresh Word. This one has got to be worth some money! I have spent the past 3 days just catching up on life...laundry, dust, emails, meetings, saying Hello to my honey, kids and G's! I have a new book/project going on and have TON"s of sticky notes and little sheets of paper that I have written on as God has expanded my vision. I am taking all of that paper today and attempting to makes heads or tails of His big ideas! Do I have any BLOG Friends in the Baltimore area??? I will be there next week at the Carenet Conference and would love to meet a Blog Friend if one is around. If it is you and you have come for "Sweet Tea". Please Facebook, Twitter, Email or Blog me! I am at my computer ALL Day and would love to meet you.